Save 20% May 1st to Sept. 30th. Book by May 31st. Wake up to the sound of the ocean at Maui Kai on Kaanapali Beach. Our Maui vacation rentals are perfect for family vacations and anyone seeking adventure. 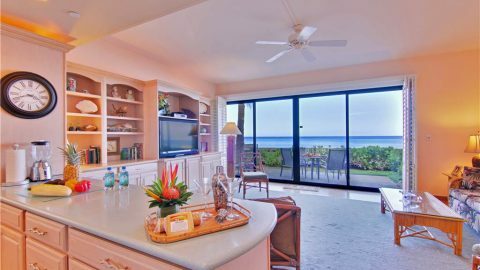 Each of these air-conditioned Maui condos offer panoramic ocean views. Just a short walk along the water takes you to many of the best Maui beaches. We are close to the action in Lahaina, yet tucked away in a peaceful oceanfront location offering fun and romance. Be the first to get new specials!